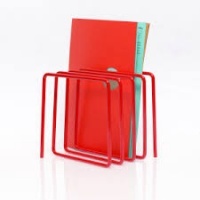 Block Design Lime Green Wire Fruit Bowl is an innovative design using a single piece of steel, that has been sculpted to form a contemporary fruit bowl. 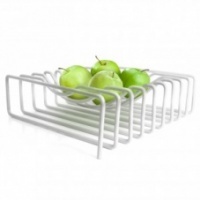 The wire form enables air to circulate in and around the fruit which ensures the fruit contained stays fresh for longer. Just imagine the colour combination that is created with the fruit against this lime green bowl! 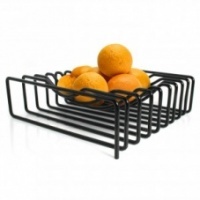 The Wire Fruit Bowl is packaged in a vibrant gift box, a brilliant gift for the design conscious.